I just visited some dear friends down in Houston. While there we managed to get to the NASA museum. Touching the rock from the moon was a bit more moving than I expected. The MOON! I touched it. Mmm. 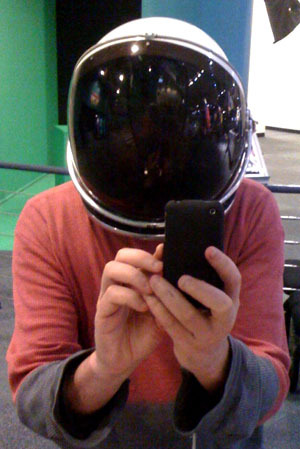 I am ready for space, but will there be cell phone reception? 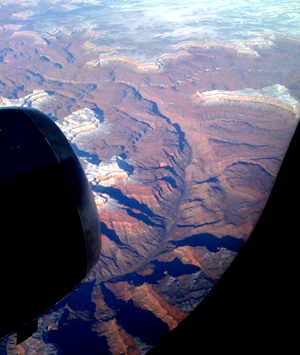 A parting photo: First time I recall flying over the Grand Canyon. Beautiful. I'd love to boat down it someday. 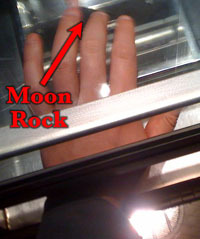 Isn’t it amazing–touching a moon rock! I too was surprised by how I felt about touching it. I am enjoying Little Dee and will miss her when the strip ends. I hope the archives will still be there. 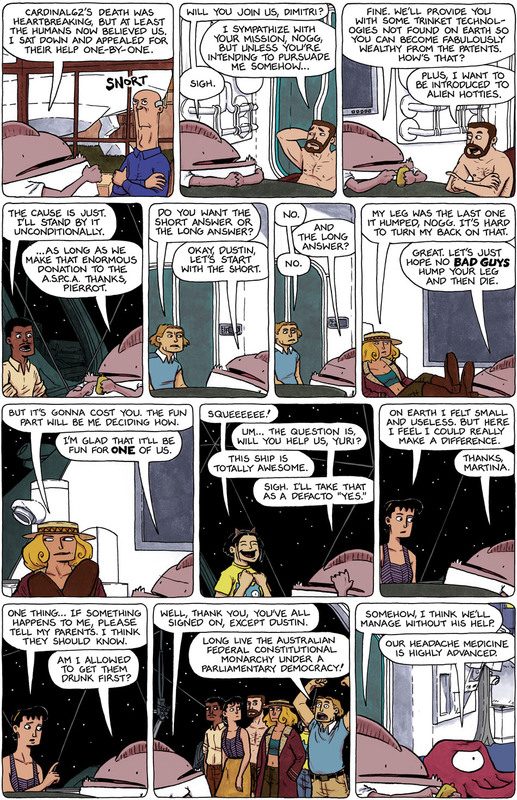 Space Trawler is fun, but I haven’t developed an affection for the characters just yet. It will come in time. Happy Birthday! Hope that it’s great. For Pierrot, shouldn’t that be the G.S.P.C.A.? It also makes me wonder how much does Nogg know about human psychology: all the people he picked, agreed with him (albeit with conditions). The one person he didn’t pick is the only one defecting. And that’s why Nogg is telling this story, it was part of a deal. Wonder how well he did with the others. Considering the aliens we’ve seen so far, I suspect Dimitri is in for some disappointment. Ok, I’ve got a comment on your visit to the space center. About the moon rock, well you don’t realize at once that there are not many things like that on earth, in particular not with that texture. And it is only then that you realize how far that rock has to have come. On the cell phone thing: transmission (radio, TV, cell phone) across “long” distances generally has the message bouncing off the atmosphere, then off the ground, then back off the atmosphere, and so on untill it finds a retransmission tower which starts the cycle over before the message gets too weak. In space, there is nothing for it to bounce off of, so unless you are using a satellite phone, you probably won’t have reception. Lastly, it took me a while to get that the shadows in your picture of the Grand Canyon were the turbine and the window of the airplane. At first I thought you were flying a private helicopter or something and the black thing to the left was the control pannel. In either case, I envy you. Only frequencies below about 30 MHz commonly bounce off the atmosphere and ground. Above that, the signals are generally line-of-sight. There are few, if any, places where multiple signal retransmissions occurs. We use direct path transmissions to control spacecraft all the time – even when they are far outside the orbit of Pluto. Re: Dustin’s uninspiring slogan, good God it’s depressing that that is an accurate description of the lash-up we Australians “enjoy” as a political system.